Tablets are still taking ground on tech industry producing sophisticated features for the sake of greater user experience. Below, we prepared best tablets 2019 based on top 10 most powerful. 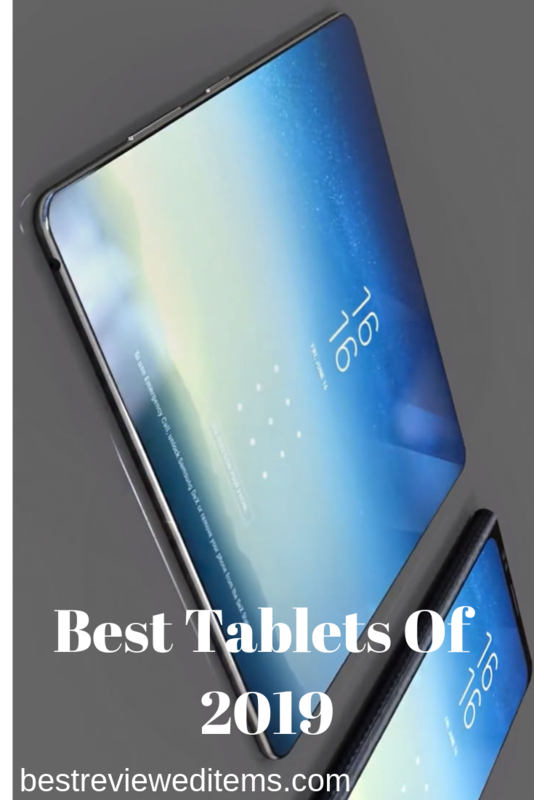 In this list we select 10 best tablets 2019 from the dozens that are available in the market. As usual, we have chosen from the big retailers such as Amazon to make it simple for anyone to purchase them regardless of their physical location and the products that are available in their markets. For this list we choose tablets that are best value compared to the other tablets. We tested them based on their screen quality, processor, RAM, battery, operating system and storage. Here is the list of all the tablets that we selected. Starting off with the Hyundai Koral 10.1 inch tablet. 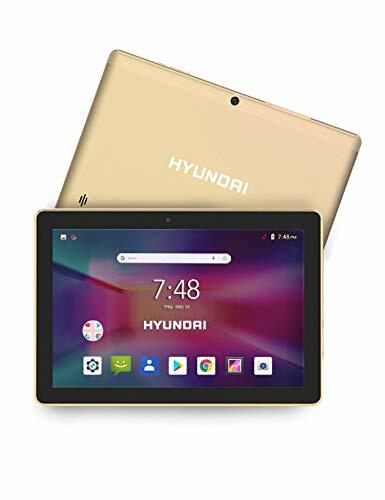 At the price below $100 this is one of the cheapest 10 inch tablets. In terms of design it looks just like many other budget tablets. It is made from plastic and it feels a bit cheap. However, the plastic is sturdy and the built quality is decent. Overall, this is what you will expect from a budget tablet, it is not the most beautiful looking or premium device, but it gets the job done. For the processor here there is a quad-core processor with 1.3 GHz with graphics and one gigs of RAM. The model of the processor is not MTK, however it feels like a Mediatek processor. Overall, the processor is good enough for this price and so the graphics card. The main concern here is the one gigabyte DDR3 RAM. Due to low RAM, this tablet will not be a great gaming or media consumption. This tablet is suitable for light media and web browsing only. 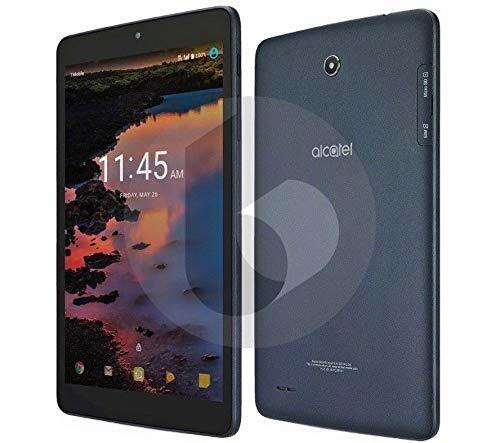 This tablet will be great for kids as it is more than enough for their needs and it is cheap, so that even if kids break it, it can easily be replaced. This tablet also has 16 GB internal storage, which is more than enough for many users. However, there is also a card slot for extra storage. This tablet runs on Android 8.1 Oreo, which is alright in today’s standards. However, given the weak internals, this operating system is more than enough for this tablet. The tablet has 5 megapixel rear camera, which is ok and can take decent pictures. Two megapixel front camera is good for video calls and messaging. The screen is 10 inch IPS display with 1280×800 resolution and up to ten point multi-touch. The tablet has HDMI and WIFI for connectivity. The standard 5000 MAh battery life is around 6 hours. Overall, this is a great budget alternative for those who just looking for light usage tablet or a tablet for kids. In Amazon this tablet received many positive reviews. This tablet is greatly recommended for those who want something budget oriented with decent performance and quality. There are few versions of this tablet and they are different in term of their size and performance. This is their smallest and cheapest models. This tablet comes with some special offers that drop the price to $80. In terms of design it is decent and build quality is good. The only problem is that the front bezels are thick and the tablet feels large and looks a bit ugly. However, for 80 dollars, there is nothing to complain about. This tablet features 1.3 GHz quad-core processor with two gigabyte RAM. In terms of performance this tablet is lower than Hyundai Koral tablet.The storage is also 16 GB only, which is very small. Luckily it is expandable though an SD card. Overall, this is a budget tablet with budget level performance. This tablet originally was made for basic purposes only. For web browsing and reading this tablet is more than enough. If you are looking for e-reader at an affordable price, then this tablet is just best for you. It is lighter than many Android skins so that it can be used by weaker hardware. This tablet was originally designed for reading and light media consumption in mind. This tablet has only one 5 MP rear camera, which is just ok. The screen is 8 inch display with 1024 x 600 resolution. For connectivity, there is a Bluetooth, cellular data and WIFI. The battery life is great with 8 hours of screen one time. Overall, this is a great ebook reader which is decent for light media consumption. If you are looking for budget electronic book reader and only plan on reading books, then this is a great budget alternative. This HD 8 is an upgraded version of the previous tablet. This is a great budget tablet for watching videos, reading, or browsing the Web. Priced at $80, this tablet provides some decent performance for its price. Just like Fire 7 and 10, HD 8 comes with Amazon’s Fire OS. In terms of design it is same as Fire 7 with similar bezels, which are large. Overall built quality is solid and it feels like something sturdy, despite being all plastic. This tablet features same quad-core 1.3 GHz processor as in cheaper model, but the RAM have been increased to 1.5 GB. This makes the tablet faster and more stable as compared to its younger brother. Again, this is not a powerful device and it is not intended to be. This device is also designed to be an electronic book reader than a tablet. Internal storage is just 16 GB, which is bare minimum in 2018. There is a 32 gigabyte version, but it costs $30 more and we do not recommend it. Getting an SD card for $5 is better value for this product than buying 32GB version. The screen is also better here. It is eight inch IPS panel with 1280 x 800 resolution. It is good for reading and for watching movies and videos. The level of details and brightness are also very good for this price point. This tablet features two cameras. 2 megapixel front and 2 megapixel rear camera. They are both just ok and can only be used for video calling and chatting purposes only. There are WIFI and Bluetooth connections available for this tablet. The battery life is great and it can go up to 12 hours of media use. The operating system is Amazon Fire OS, which is based on Android OS. It is lighter and have less functions. This makes the tablet faster and stable with even entry level hardware. There are many Amazon services that are preinstalled. The tablet also features Alexa assistant. 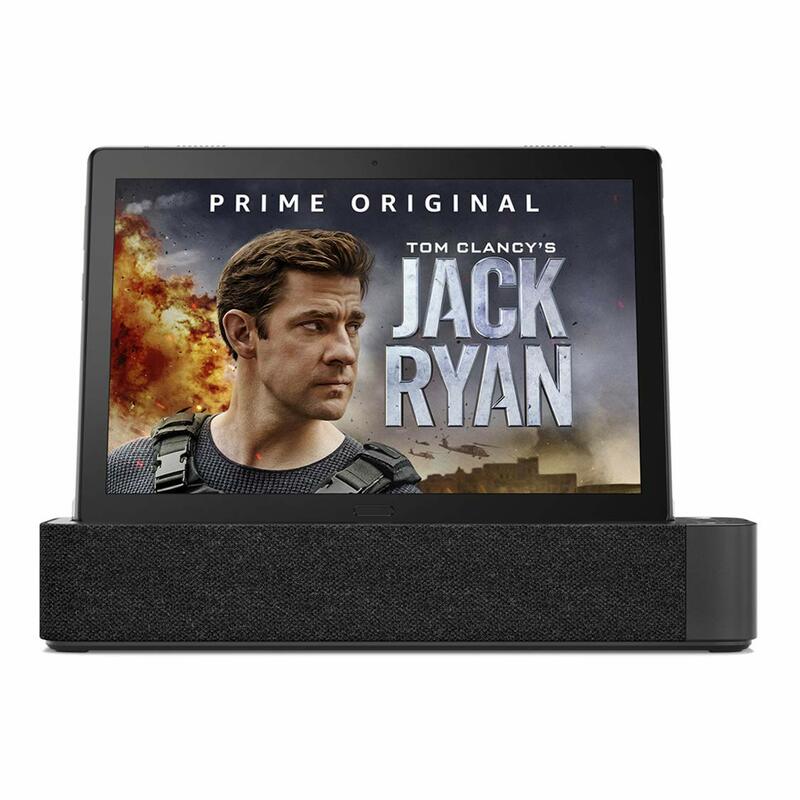 It can be paired with other Alexa devices and use together. Overall, this is a great electronic book reader. It features better internal and feels faster and smoother than its younger brother Fire 7. It also features much better and brighter screen. These makes it a better choice and the extra money spent on it is well worth it. Lenovo was always a thriving player in tablets market. Each year it has produced many new models and sold thousands of devices all around the world. This is their cheapest and most budget friendly model. In terms of design, it follows Lenovo’s design language with oval home button and rounded corners. As any other budget model, this tablet is made of plastic. Despite that it looks better than other budget tablets and feel much sturdier too. The bezels are not as thick as on Fire HD 8 and the tablet feels compact and thin despite being 10 inch model. The processor here is actually from Qualcomm. It is powered by 1.8 GHz quad-core Snapdragon 450 processor and 4 GB RAM. They are powerful enough to handle Android operating system. Coupled with 4GB gigabytes of memory, it is powerful enough to handle light media consumption and light gaming. Watching videos or surfing the internet feels much smoother than in previous tablets. Overall, it has some decent performance for just over $350. Internal storage is 64 GB and can be expanded using a storage card. We do recommend at least another 128 GB MicroSD card to fit your media files. The screen is 10.1 inch with 1920 x 1200 native resolution. Lenovo always had great screens, even in their budget models. This is a decent screen with good colors, brightness and level of details. It is good for reading, watching videos and web surfing. The front camera has just 5MP, which is meant for video calling only. Rear camera is 8 MP one without any flash. It is good enough and takes good pictures with some level of details. Do not expect anything extraordinary from those cameras, as they are basic budget units. Just like any other tablet, this tablet has WIFI and Bluetooth. There is 3.5mm jack and Micro USB connection for charging and pairing with a computer. The operating system here is Android 8.1 Oreo, which is a late of Android. It is sufficient enough for media use. However, it lacks some of the latest functions that are available in Android. Luckily, it is Lenovo’s own version of the Android which was tuned with extra function, better performance and features many free Samsung applications. Overall, this is a nice looking mid-range tablet with decent enough performance. This is great for kids and those who are using it for reading and light media consumption. It might not have premium components nor blazing fast performance, but for its price it is a decent tablet from a well-known brand. Without mentioning Apple’s tablets our review cannot be delicious enough to remove your tech hunger. This is a low-range model with slightly better internals and newer design. This is a nice looking device that features Apple’s signature design. There is a round home button and round corners. This tablet feel much more premium and looks more slick and serious. Overall, this is a nice looking device that is well worth its price point. For the hardware, it features Apple’s own A10 Fusion chip clocked at 1.3 GHz. 128GB of internal storage cannot be expanded using an SD card. This tablet performs well. Quad-core core processor is powerful enough for many tasks, such as watching videos, web surfing, reading and so on. This tablet is also powerful enough for light gaming. However, it might not be powerful enough for heavy graphics games that are available right now. Overall, the performance is good enough and might be sufficient for many users. The screen is 9.7 inch Retina panel with 1920 x 1200 pixels resolution. This is a great display with good level of details and vivid colors. This screen is great for watching videos and other media. This tablet has two cameras. Front camera is a 1.2 megapixel unit that is good for video calling and ok for selfies. Rear camera is 8MP unit with LED flash. It is good enough to take some nice photos with good level of details. Operating system is iOS. It is decent and has many nice features such as split screen functionality and many Samsung applications. The battery life is around 10 hours of media playback and web browsing. This is a premium tablet from tech giant Microsoft. It has a great looking 12.3 inch screen. It is somewhat similar to Google Pixel tablets as it features no home button and rounded corners. However, this tablet is made from aluminum and below $900 it feels and looks very premium. 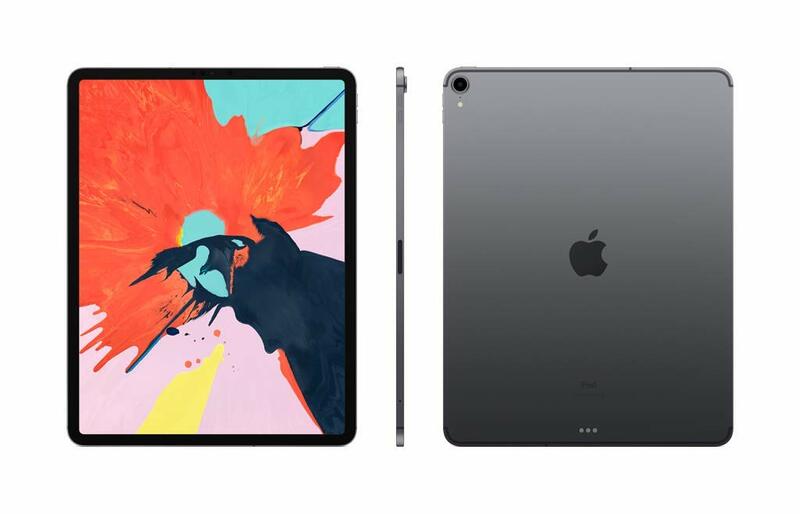 In terms of design it can easily be a rival to IPad Pro or Samsung Tab S4 tablets. In terms of looks, this tablet will not disappoint. For the hardware, it is powered by Huawei’s own latest 8th Gen Intel Core processor clocked at 1.6 GHz. RAM is 8GB, which is huge at this price point. The storage is 128 GB and can be expanded using Micro SD card. Overall, in terms of performance it is fast and smooth. Nevertheless, it is not only most powerful on the market, but under $900 it has great performance with powerful internals. It performs surprisingly well and it is very responsive and snappy. The screen is 12.3 inch LCD panel with 2736 x 1824 resolution. It is very sharp with great details and good brightness. This screen is good for watching videos or playing games. It is great for almost anything that you want to do with this tablet. The tablet has two cameras, which are 5 megapixels, both front and rear cameras. They are good, with great level of details. The front one is great for video calling or taking selfies. Rear camera has an LED flash. They take good pictures with decent quality. For connectivity there are WIFI, Bluetooth, 3.5 mm audio jack and USB port for pairing and charging. There is no mobile network for this model, however some models do feature a mobile network. Operating system is Windows 10. The battery life is 8 to 10 hours depending on the load. This is expected as high-resolution screen and powerful internals do eat up the battery fast. They are very good, with good sound quality and volume. The audio engine is good too and provides good audio signal to the headphones. Overall, this is a great tablet under $900. It has great performance, with great hardware. The screen is very good. Cameras are good. Lastly, speakers are good too. This is a good value for money tablet that can run almost anything that the user wants from it. This tablet will not disappoint anyone. The only disadvantage that it has is the battery life, which is just 8 to 10 hours. It is much lower than many tablets at this price point. In terms of design and internals it is very similar to the old Pro versions. It features rounded corners. The bezels are slim and pretty decent for a flagship range device. In terms of built quality and materials used this tablet looks and feel like an ergonomic device. Overall, the design wise this tablet will not disappoint you. In terms of performance, it comes with A12X Bionic chip with Neural Engine. There is 8GB RAM and 512GB internal storage. In terms of performance, this tablet is great and can perform on par with many other devices that cost much more than this device. Internal storage is very decent also. Overall, in terms of performance this tablet is decent enough and will be able to satisfy any user. 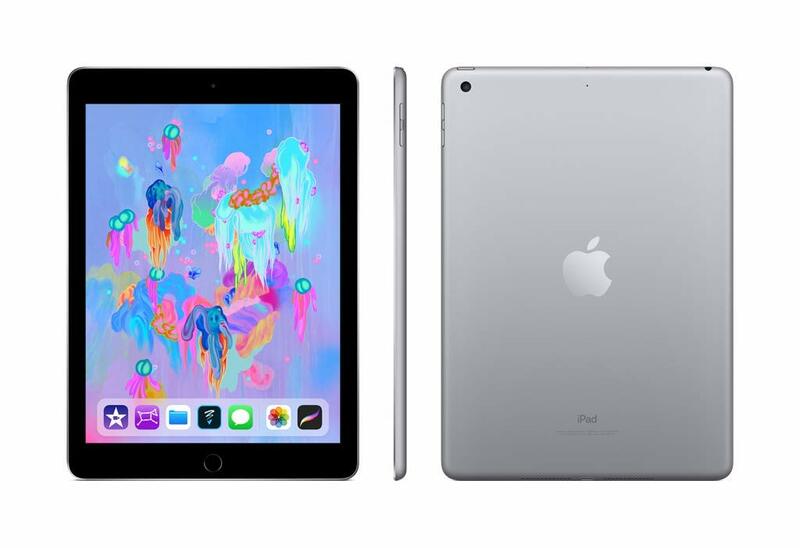 The screen is 12.9-inch edge-to-edge Liquid Retina display with ProMotion technology. The screen is great with good viewing angles, great colors and details. Screen here is a square type and not the wide type used by other tablets. This makes it great for reading and gaming.. There are 12MP back camera and 7MP TrueDepth front camera to deliver 4k resolution effect. This tablet has WIFI and cellular LTE data connections. The battery can last up to 10 hours and can be charged very quickly due to fast charge. This is one of the main strengths of this tablet as others at this price point does not support fast charge. Operating system is surely iOS. Overall, this is also a great flagship tablet. It has a beautiful design, display with great colors, good battery life with fast charge technology and powerful internal. If you are looking for a 13 inch premium tablet. This tablet will be a great choice for you. This is another flagship tablet from good old Japanese Panasonic. Unlike other tablets, this one is actually heavy duty gadget for those who work physically challenged occupations. The reason for including this product is that because it is equipped with carbon armor to protect the body and has some nice interesting features. Priced around $2600, this is a pricier premium tablet in this list. It looks like a desk without legs. It can also be used to draw using a stylus pen. This laptop is very thick and it features a heavy weight. The bezels are big on a larger side. Tablet is made from metal and very sturdy and strong. Overall, this tablet looks like a hard to break device. It feels much more premium than it actually costs. For the hardware it rocks with 2.6 GHz Intel Core i5-7300U Dual-Core 2.6 GHz processor with Turbo boost up to 3.0 GHz. Available system memory is 8GB DDR3 and internal storage is 256GB SSD. The storage can be expanded using Micro SD cards. In terms of hardware, it is decent. It has more than enough power to run a full version of Windows 10 Pro. It is smooth and snappy, and powerful enough to handle any productivity work, such as typing, photo editing or drawing. It can also game very well. The screen here is a 12 inches with 2160 x 1440 resolution. It has good colors, great viewing angles and crisp image quality. Overall, the screen is very good. There are no cameras on this tablet. Moving to connectivity, this tablet has similar connectivity options like many other tablets. For wireless we have 802.11ac WIFI and Bluetooth 4.0. It comes with some media apps pre-installed. 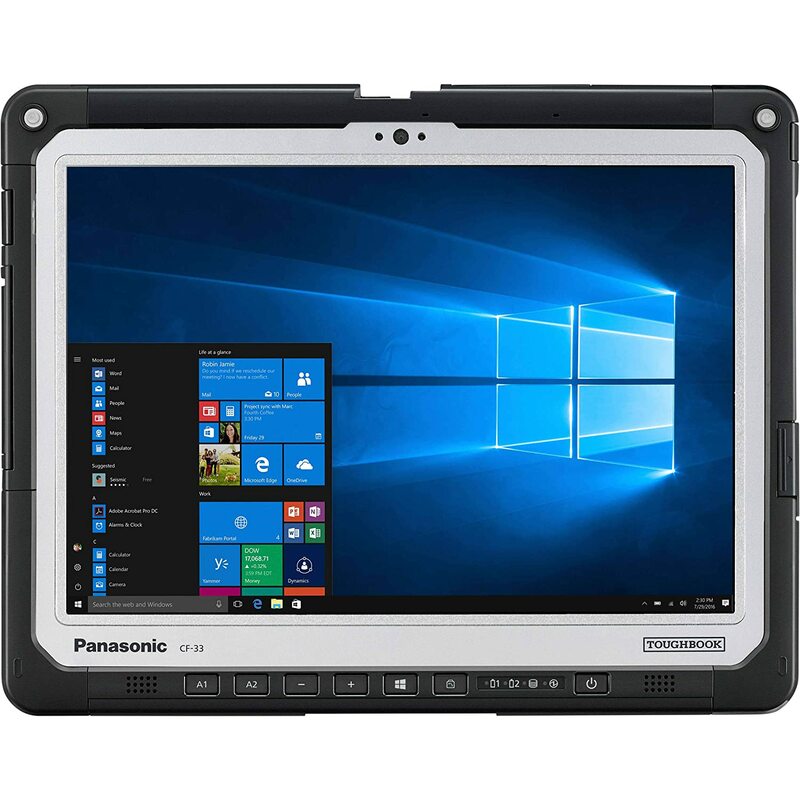 Since it is two-in-one laptop and tablet, it can easily be used as a tablet or can be placed on a table for watching videos. Other tablets will require a special case to do so. Furthermore, it comes with a stylus pen that can be used for drawing and photo editing. Overall, this great workhorse tablet which can be used for work and can be used for media at the same time. 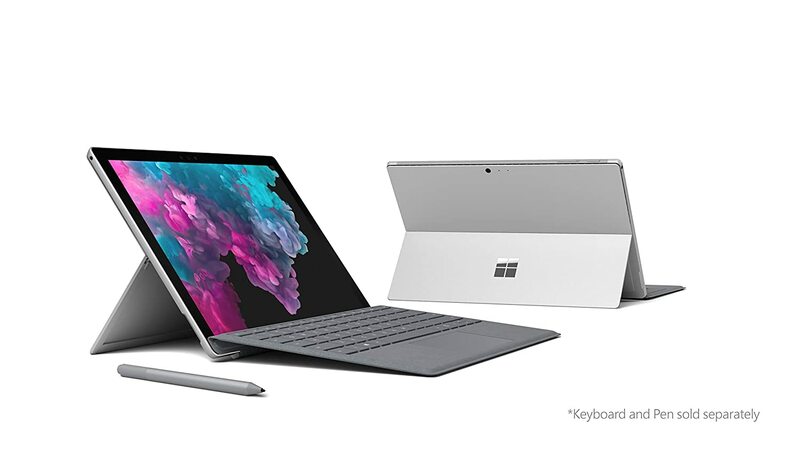 It works and performs just like a laptop yet it features Windows 10 Pro and all the touch functions just like other tablets. Moving to the high end level, this is one of the most expensive Samsung tablet available on Amazon. This tablet is made from aluminum and it feels very premium. The design is very similar to other Samsung devices with oval home button and rounded corners. This is one of the most beautiful and premium looking tablets out there. The bezels are small and one of the smallest on the market. The screen is actually a square type and not the wide format. It is good for reading and web browsing, however for videos it will have black bars on top and a bottom. Overall, in terms of design this is a premium looking device with premium materials. For hardware, it is powered with powerful 2.35 GHz Snapdragon octa-core processor. It is powerful enough to handle almost any tasks and at the same time it helps to conserve energy. For Ram it comes with 4 GB RAM and internal storage is 32/64 GB. Internal storage can be expanded using a Micro SD card. In terms of performance, this tablet can handle any tasks, whether it is a gaming or working. This tablet can easily handle web browsing and watching videos. The screen is 10.5 inches Super AMOLED display with 2560×1600 resolution. Samsung is famous with its AMOLED display. They are just great. This screen is just the best screen available on a tablet. It has one of the best colors, viewing angles, sharpness and brightness. The screen is great for playing games, watching videos or browsing photos. In terms of cameras, this unit has two cameras. The main rear camera is 13 megapixels. It takes great pictures with great level of details and quality. This camera is capable of taking 4K video at 30 frames per second. The front camera is 5 megapixels and it is also good enough and great for selfies. Overall, in terms of screen and cameras, this tablet is one of the best tablets available on the market. Wireless connectivity, this tables comes with 802.11abg WIFI and Bluetooth 4.2. The tablet also has USB Type C connector for charging and pairing. 3.5 mm audio jack is also present in this tablet. The battery life is also good here with up to 12 hours of media playback. Since it has USB Type C, this tablet supports very fast charging that adapts depending on the battery level. This tablet also uses latest Android 8.0 Oreo with Samsung skin over it. This version of android has many changes made Samsung. It looks very nice and performs smoothly. It is also very easy and simple to use, compared to many Android skins from different manufacturer. The main highlight of this tablet is S-Pen, which is used in Galaxy Note series. It provides similar functions for this tablet too and can be used to draw or write. There is also an optional cover with a keyboard that can transform this tablet into a laptop. Overall, this is just the best tablet available on the market. 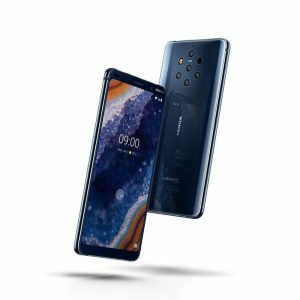 It provides one of the best looking designs, with great performance, best screen, one of the best cameras and great battery life with fast charging and Type C cable. If you want the best and ready to pay the hefty price for this tablet, then this tablet is for you. This is a last tablet in this list. It is also the most expensive one. In terms of design, this tablet is also made from a metal. It has good built quality and it is on par with Samsung tablet. The bezels are small, but not as small as Samsung ones. Overall, this is a good quality tablet with beautiful design. In terms of hardware, this tablet comes with Intel i7 processor. RAM is just 16 GB and the internal storage is 256 GB. There is also no Micro SD card slot for adding more storage. In terms of performance, this tablet is fast enough for almost anything. Just the concern might be the limited internal memory, but 256 GB should be enough for many users. The screen is 12.3 inches with 3000 x 2000 pixels resolution. This is just an IPS panel. It is good enough, but it cannot rival Samsung’s AMOLED screen. Overall, this screen is good enough, with good colors and sharp images. The resolution is one of the biggest. This tablet also features the square design and great for reading or web browsing. This tablet comes with two cameras, one 2 MP front camera and 8 MP rear camera. It only takes Full HD videos, however the rear camera has good level of brightness. For connectivity this tablet has 802.11 a/b/g/n dual-band WIFI with Bluetooth 4.1. There is also a USB Type C port for charging and pairing. 3.5 mm audio jack is also present here. USB support fast charging. The battery is Li-Po 10 000 mAh battery. It is the largest battery available on a tablet and can last more than 12 hours. This tablet comes with Android 6.0 Marshmallow. However, being a Google device it will receive update to the latest version of android and the latest security patches just after they are released. Overall, this is a premium looking device with good screen and great cameras. The battery is very large too. Support from Google with latest Android updates is good too. If you are looking for a premium device with great battery and clean Android, then this tablet for you. When choosing a tablet, there are several variables at play. Tablets are much more similar to phones than laptops and choosing the one can be a bit problematic. To make the selection process easy we have developed some guidelines that we follow when selecting a tablet. Second important element is performance. Tablets use different processors and RAM. A combination of those makes the tablet faster or slower. Usually, the budget ones are good for reading and internet browsing. Usually the mid to high level tablets that have fast performance and can even work as a laptop replacement. Since performance depends on the processor and RAM, it is important to check both of them carefully. By doing so it is easier to choose a good tablet. Battery life is the third important element. It is really important, because if the battery life is too short then the owner will have to charge often and will not be able to enjoy the tablet as much as he wanted. If battery will last long enough, the user can easily enjoy the tablet and perform the work on the tablet. Luckily, many tablets support 2.4A charge or even fast charging technologies that make the charging process much faster. Not to mention the support for power banks. Operating system is the fourth element. Operating system is not that much of an importance like a processor or RAM. However, newer versions of software support new functions and have better security and app support. Some of the older operating systems are not supported by newer apps and suffer from security issues and poor battery life. Storage is the fifth and last element. It is important to have at least 16GB and preferably 32GB of internal storage for a tablet. Most tablets support Micro SD cards. However, not everything can be stored on storage card and the tablet needs some amount of internal storage to work stable and smooth. Tablets are truly useful. They have larger screens than smartphones, cost cheaper than laptops, yet they are sometimes more stable and snappier than latter ones. Despite all of that tablet industry has been taking hits from larger phones and thinner budget laptops. Furthermore, many laptop manufacturers started to offer Windows tablets or two-in-one laptops with touch screens that can serve as laptops. 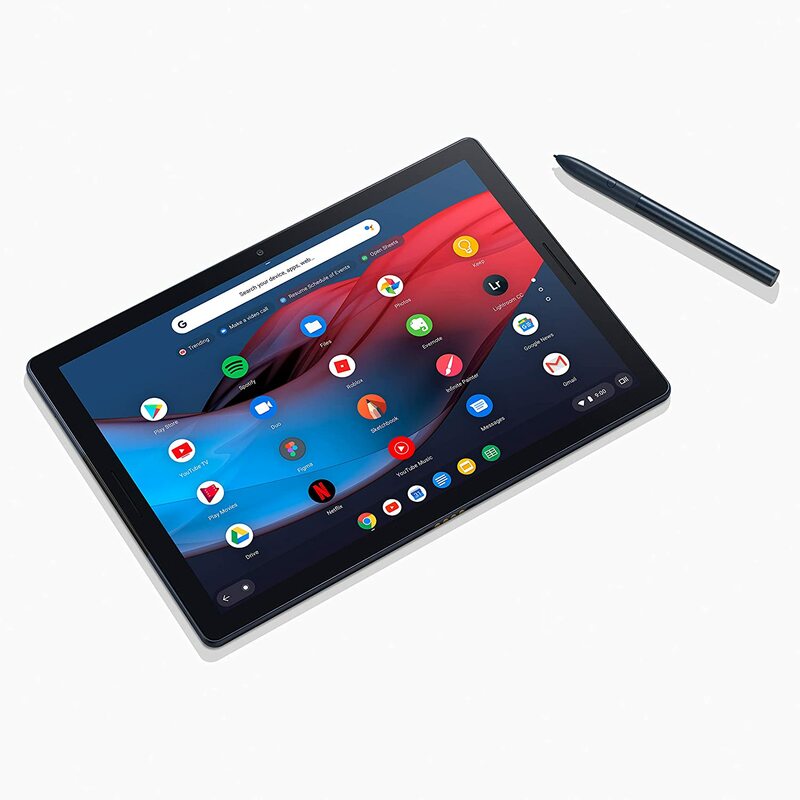 With stiff competition, many manufacturers stopped making tablets while were famous for many several new models of tablets each years, released only few tablets last year. Then why would someone go for tablet? The answer is clear. Tablets have their own uses. Tablets are good for: watching video, internet browsing, reading, checking email and social networks, and playing games. They are great media consumption devices. Furthermore, they can be used for doing some work such as typing documents and managing work related issues. Some business even use tablets in their shops to order food or use their services and some use them in managing inventory and for communication purposes. This is what makes them very useful. Furthermore, tablets are good for kids. They can be set up to provide child friendly content and protest from unnecessary content. There are many great videos on YouTube and many educational and learning apps on Google Play. This makes tablets much more suitable for kids. Each time a parent needs to give their phone to their kids to use, they need to set it up to display child friendly content and then when they want to use themselves they need to set it back to normal use. Furthermore, they will not be able to receive any calls or messages from their work or family. Not to mention that kids can break the phone with all the important information that is stored inside. Tablets are much more affordable and much sturdier than a smartphones. If you are a college student this post can give a great information about tablets for college use. When it comes to the price, tablets are much cheaper than most mid-range and high end phones and they are cheaper than most laptops out there. They might not be able to provide laptop level of performance or hardware support with upgrades. However, they are light and thin, which makes them much easier to carry around and bring anywhere in a small bag. There are some wireless keyboards and covers that help tablet stand up like a laptop. This makes them a great budget alternatives to the laptops. Most of budget laptops are big, bulky and slow in performance. Tablets are much lighter, thinner and perform much faster than those laptop. When it comes to price, they cost almost the same. This makes tablets are great value products for their price. For people looking to do just daily tasks, tablets will be able to do it with much ease than most budget laptops. Not to mention that tablets can be charged using powerbanks, unlike many laptops and they also support a fast charging capabilities which charge tablets very fast. Only expensive laptops support fast charging and only very few can be charged using a powerbank. We really hope that this list was useful for you. This list featured great 10 Android Tablets. 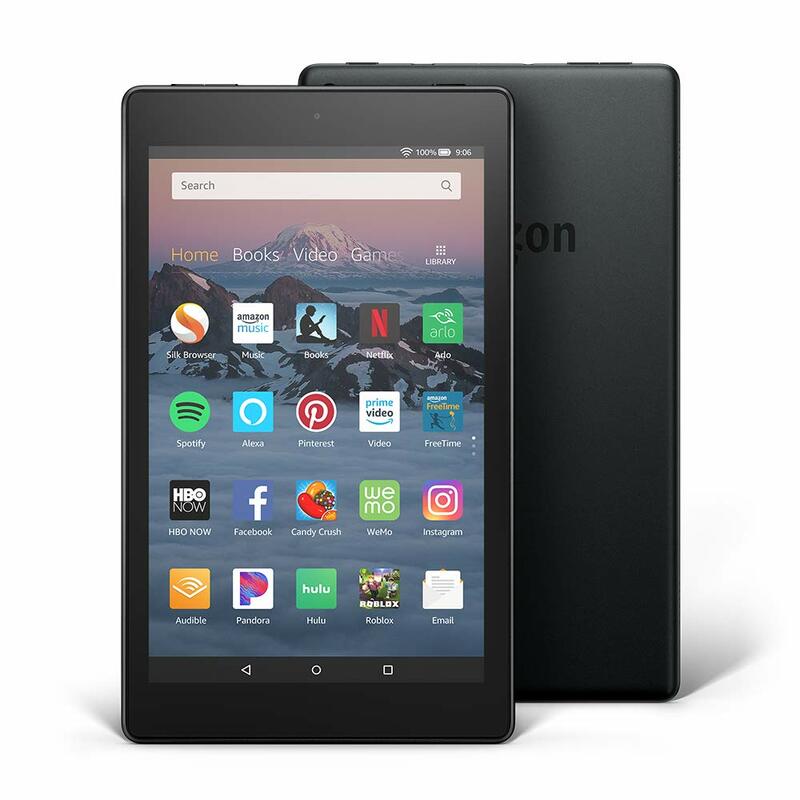 For our top pick, we recommend Amazon Fire HD 8 from budget category, Huawei MediaPad M3 for mid-range and Samsung Galaxy Tab S3 for high end category. For those who are looking for something unique, Lenovo Yoga Book 10 is a great choice.